A new film by Michal Aviad explores the dashed hopes, tremendous achievements, and complex lives of the women pioneers of early Zionism. The relationship between women and Israel has long been contentious. On many counts the country has been on the cutting edge of progressive rights, yet its residual chauvinism repeatedly obstruct women’s freedom. A powerful new film tackles this set of problems with distinctive voices, exploring what Israel was able to offer women throughout the last century—an escape, an opportunity, a dream—and whether it fulfilled its promise. Director Michal Aviad explores the relationship between feminism and Zionism in her latest film, The Women Pioneers, which played at the New York Jewish Film Festival in January to a near-full theater despite the bitter snowstorm raging outside. 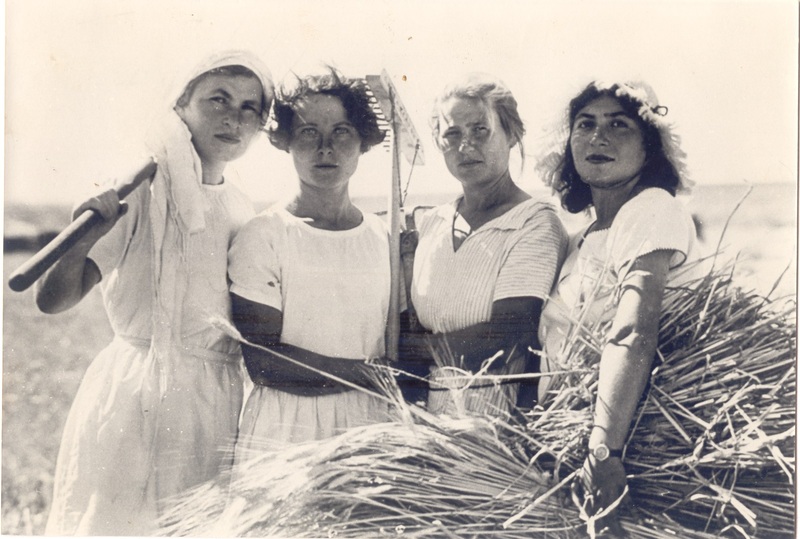 Using footage filmed between 1920 and 1948 in Ein Harod, a kibbutz in northern Israel, the documentary tells the story of a handful of women who moved from Europe to Palestine to fulfill not only the Zionist vision but also their own dreams of living in a new, progressive society, on equal footing with men. The diaries and letters of these five women, voiced by actors, offer an alternative reading of history, revealing the female, personal side of the well-known narrative of the early waves of idealistic immigration to Palestine. It had all the makings of a great transformation. Early Zionism was a movement of rebirth, of fertility, of a new society that shook off the shackles of tradition, religion and the patriarchy: exactly the kind of community that would seduce freethinking, educated women. But on that front, at least, Zionism wasn’t radical enough. The Women Pioneers opens on grainy, colorless footage of barley fields. That making aliyah posed different struggles for women than for men is immediately apparent. What used to be “a delicate hand in Russia meant only for kissing,” a female voice tells us, has become a tool that can be put to good use. But it’s not all rosy: her hands, now mosquito-bitten, are too small to carry the expected four barley sheaves at once. The sun glares. The heat is oppressive. One diarist recounts receiving her mother’s wedding ring, sent from her childhood home in Europe to the kibbutz where she now lives. Her decision not to wear it is meaningful in two ways. On a practical level, the delicate jewelry would get in the way of the new, physical lifestyle she has adopted. On a symbolic level, the marriage ring represents the subordinate place of women in society, a yoke placed around the hand of a woman to tie her to her husband, a religious and traditional limitation of her freedom. As if the point hadn’t been made clearly enough, the films cuts to footage of women in Ukraine sporting coiffed bobs and polka dot dresses. They apply lipstick, stand stiffly in line, then smile at the camera. It offers a stark and bittersweet contrast to the women in Palestine who run around the fields, their hair scooped up into bandanas, their strong legs visible under their shorts. “Will you give your face and your bodies to this land?” the female voice asks. For many female pioneers, the sacrifice would be greater than they anticipated. Zionism gave women opportunity for a new life, but the old fetters of female subjugation were tough to shake. The women pioneers soon found themselves in an oddly balanced world: free, in a way, but still very much women. The female pioneers were prepared—even willing—to give up their traditional understanding of womanhood for Israel. Zionism gave them opportunity for a new life, but the longstanding fetters of female subjugation were tough to shake. The women pioneers soon found themselves in an oddly balanced world: free, in a way, but still very much women. Another of the film’s women, Nechama, is married to and has a child with a kibbutznik named Aryeh, but also has a relationship with another man, Aharon. She falls pregnant with her second child, and unsure of which man is the father, she shoots herself. Ein Harod, the kibbutz that represented dreams of a new future for so many women, had claimed its first two lives: a panicked woman and her unborn child. There is a sad symmetry with the biblical tale of Saul, the first king of Israel, who waged battle against the Philistines at Mount Gilboa—the exact location of Ein Harod. The story ends with Saul falling on his own sword, and Jonathan, his son, being killed in battle. Both parent and child are casualties of the larger fight for Israel. These two anecdotes reflect how the kibbutz’s attempted dissolution of traditional gender roles, and its rejection of patriarchal marriage, ended up hurting women. That wasn’t the direct fault of Zionism, per se: it was collateral damage of communalist life. The casting off of monogamy and sexual taboos created a culture in which men were truly free to roam, but despite its progressive values, the kibbutz couldn’t change women’s social standing overnight. “Man’s betrayal is seen as woman’s disgrace,” one diarist laments. “We must fight against this,” but it is a belief, she writes, that’s “rooted in the soul.” It’s true that Zionism disappointed its women on this front, but it wasn’t an intentional suppression: in love, women were as free as men. It’s more that Zionism wasn’t able to live up to the high expectations held by the women leaving Europe, the women who were “scared of being like [their] mothers and grandmothers” and were determined to avoid that fate. One woman says, “I am brave enough to live and be alone,” talking about leaving her parents’ house and her home country to move to a foreign land. Woman’s loneliness on the kibbutz, however, would become more than geographical. “I am unlucky,” another pioneer writes. “I am not smart or pretty. The men will not accept me as a woman. I am alone.” This woman later kills herself by drinking disinfectant. Another diarist recounts her experience of giving birth on the kibbutz. “Why, at the hardest moments of our lives, are men away in peaceful slumber?” she asks. “I was totally alone, as is the fate of women.” It’s not so much that Israel failed its women, but that it didn’t move drastically enough to discard the global manacles of gender disparity. That women were unhappy was history’s blunder, not Israel’s. 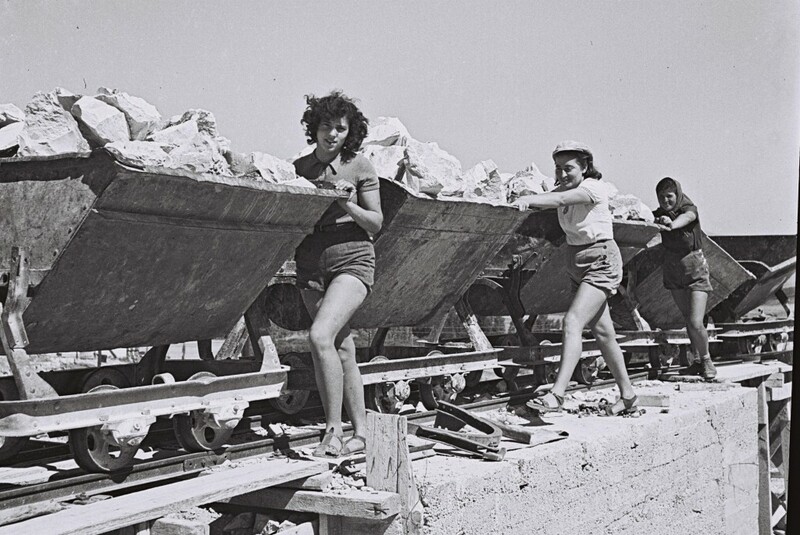 Even so, the kibbutz life of pre-State Zionism didn’t fulfill women’s expectations. It was the ultimate paradox: that the giving up of the self for the wider cause left woman with nothing but herself. The Women Pioneers draws solely from the diaries and letters of five women who lived at Ein Harod in the three decades running up to the establishment of the State of Israel in 1948. Writings of other female pioneers from the same time attest to similar experiences. In the diary, which she kept until 1937, Bader described her life as fraught with hard work, illnesses and crises—hardly a romantic idyll. But she could cope. What truly disturbed her was her inferior place in the new kibbutz world, where women were relegated exclusively to service jobs as nannies or laundry and kitchen workers. 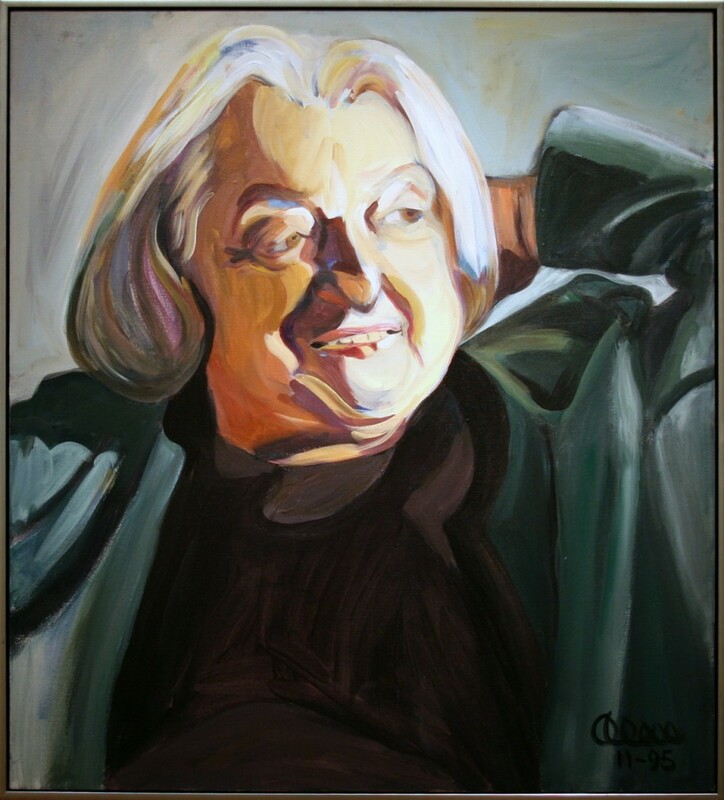 Menachem Bader, her husband, became a key figure in the Kibbutz Ha’artzi movement, was sent on missions to Europe by the Jewish Agency and established the economic infrastructure of the state-in-the-making (he was also a member of the First Knesset). But she lived in his shadow. In Bader’s first diary entry, on January 1, 1933, she wrote: “I am sometimes very sad and lonely.” The next day, she penned: “How lonesome I am, no one came to visit me today and no one asks how I am feeling.” The kibbutz refused to let Bader pursue a university degree or complete her medical training, and although she managed to get herself important work in the cowshed, it was not considered her official job and her efforts there went largely unacknowledged. With her husband travelling to Europe and her only daughter studying at boarding school, Bader was often alone. She put up silently with her husband’s affairs, with the women he brought back from his travels and with the apartment he kept in Tel Aviv for such purposes. These things were his right, she believed. Last year, to mark the 82nd anniversary of the death of Rachel Bluwstein—better known as Rachel the Poetess—the Israel State Archive released to the public some of her letters, written between the mid-1920s and her death from tuberculosis in 1931. Just like Aviad’s pioneers and Dora Bader, Bluwstein’s kibbutz experience was tainted with disillusionment. These two women, like the pioneers in Aviad’s film, weren’t meek girls from the shtetl—the kind of female characters from 19th century literature whose happiness and self-worth rose and fell with matters of the heart. They were strong, educated women. They were literate, they learned Hebrew and they labored at new skills. Some of them had revolted in Europe, suffered torture and endured imprisonment. Rotem shares a telling anecdote about Bader, who went into labor while on a train to Haifa but ignored her contractions so she could attend a lecture by Albert Einstein. These were the women bold enough to leave their lives behind them and travel to a foreign land, to a life yet uncharted. And it was Zionism that gave them this opportunity. The movement wasn’t strong enough to shrug off age-old prejudices like an oversized, moth-bitten shawl, but it was able to offer these women something else: hope, escape, a different future. Bader became a dairy expert, travelling abroad to study the industry, and represented her kibbutz on business and political matters around the country and in Europe. She was instrumental in saving Jews and their property from Nazi Germany and helped European children move to Palestine in the 1940s. 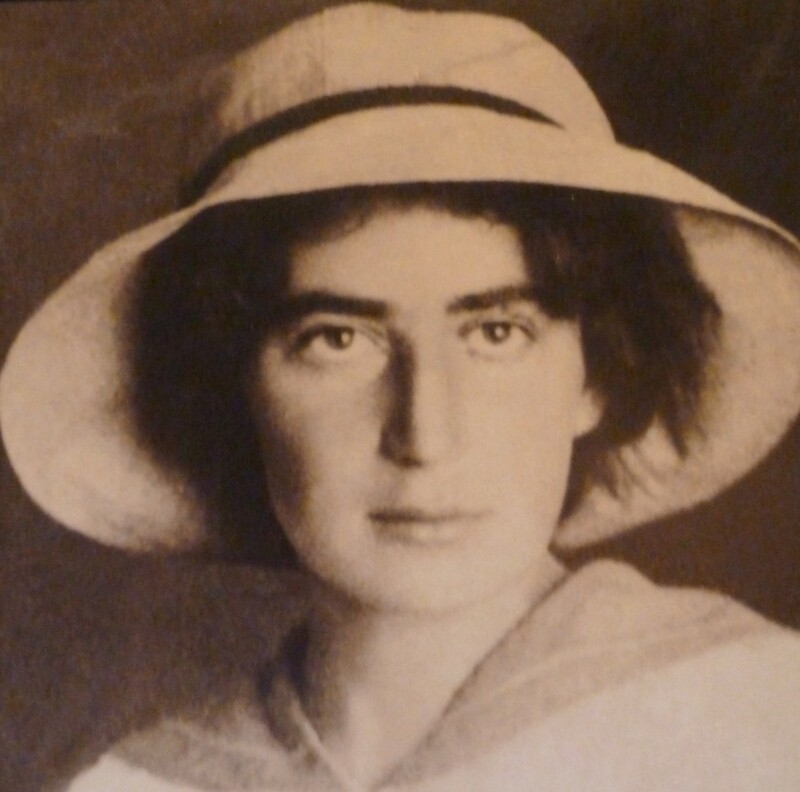 Bluwstein became a best-selling poet—an area dominated solely by men at that time—and her poems were published weekly in a Hebrew newspaper. Her work, which has been translated into several languages, is now on Israel’s national curriculum, and her face currently adorns the 20-shekel note. Bader and Bluwstein might have suffered their share of misery, but in Israel, both women became leaders. The harshest blow to the dream of women’s equality came when Zionism’s need to concentrate on military pursuits began to overshadow the movement’s other aspirations. As Zionism grew increasingly nationalist in the face of growing antagonism, at the expense of its socialist roots, the status of women stopped being a priority. 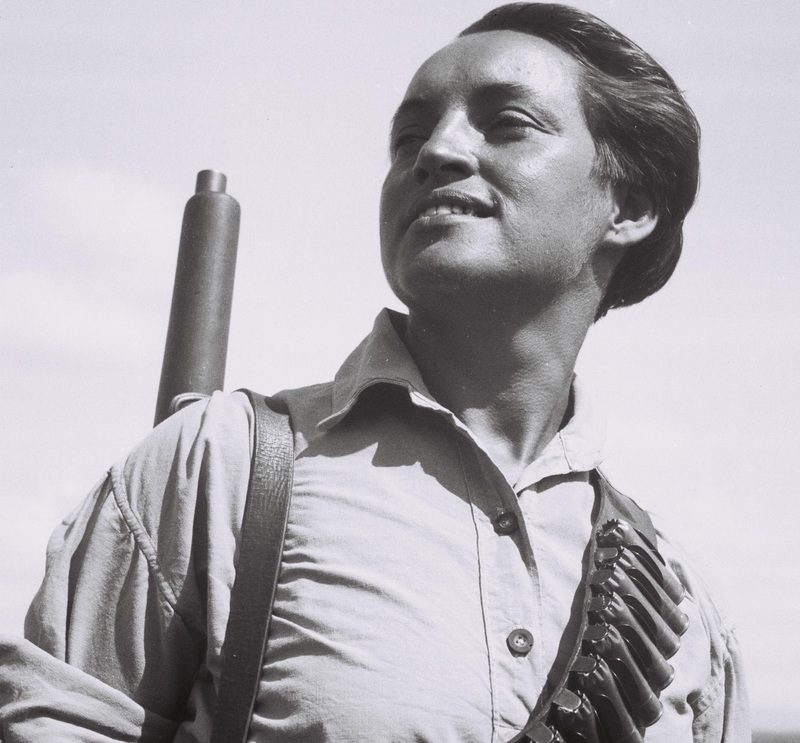 When it came to the Arab unrest of 1936, which was even stronger than its predecessor in that it would sow the seeds of a prolonged and better-organized Arab rebellion in the future, the women learned to use weapons and demanded to fight. The men conceded slightly: women could guard, but only with hunting rifles. It wasn’t a great victory in the eyes of the female pioneers, but it was a step in the right direction. Compare this to Britain during the Second World War, where it was considered pretty groundbreaking that women worked in the factories, and where the female war effort went mostly toward nursing. Even into the 1940s, women weren’t allowed to pull a gun’s trigger: killing was considered a man’s job. In the US, it was only last year that female soldiers were given the same army opportunities as men, ending a policy that kept women out of direct combat. The key problem in pre-1948 Israel was that the decision-making committees comprised only men. 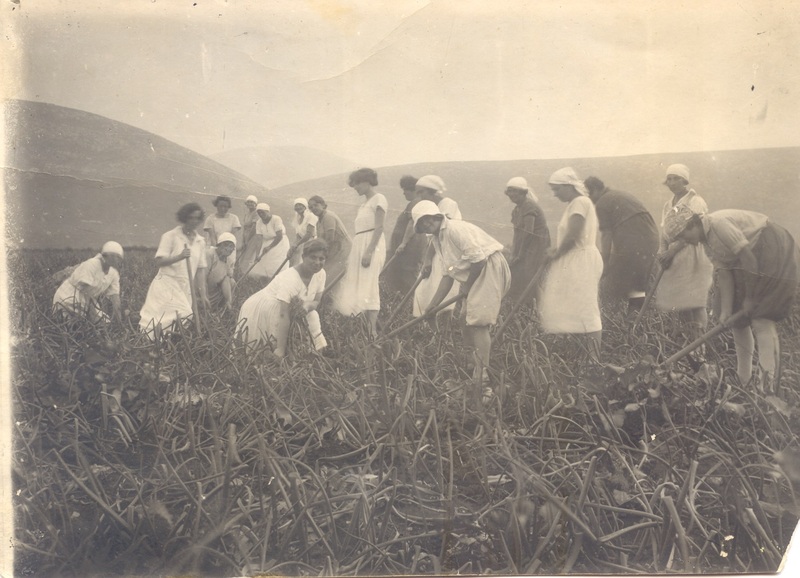 One scene shows silent footage of women running around outside in the fields, moving large machinery and working the land. The film then cuts to a room indoors, where men in button-down shirts sit around a long table, basking in the low-hum of male voices. It’s an image that is still all too familiar in today’s boardrooms. After decades in Palestine, on the cusp of the establishment of the State of Israel, Zionism had achieved much of what it set out to do—it had nurtured and settled the land, it had changed Jews’ self-identity and how others perceived them, and it had created a national homeland for the Jews. It had also moved toward elevating the social standing of women, but these steps had not been as large as they might have been, or as effective as the women might have wished. Israel had been forced to concentrate on other areas of development instead. These women, who were essential to the growth of Zionism, who were needed for Israel to be built into a national home with future generations, were relegated in this very quest for Jewish autonomy and Israeli settlement. This is the essence of Aviad’s film, and the great irony of Zionist history. Other female attendants wrote of their frustration at the tone and direction the conference took. The leader of the New Zealand delegation, labor politician Whetu Tirikatene-Sullivan, rightly questioned why Zionism was included in the anti-imperialism motion and not sexism, which was, after all, the very reason they had all gathered in Mexico City. Phyllis Chesler, the writer and well-known feminist, continues to speak against this kind of so-called feminism—against those women who condemn Zionism just for the sake of siding with the Left-wing establishment. She accuses feminism of neglecting its core mission by expressing blanket disapproval of Israel while ignoring the individual and more pressing women’s issues in its neighboring countries—the concerns that should be front and center of feminist discourse. What many consider a key moment in the birthing of modern feminism, when the UN officially recognized the movement’s importance in 1975, Chesler calls the death of feminism. In the years since the UN women’s conference, several of feminism’s biggest icons have come to Zionism’s defense. Friedan, who had previously self-identified as feminist before Jew, said upon the passing of Resolution 3379: “I have never been a Zionist until today.” Letty Cottin Pogrebin, in a 1982 article for Ms., the feminist magazine she founded with Gloria Steinem, argued in favor of Jews having a homeland. 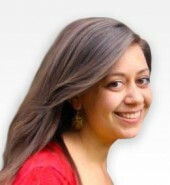 She wrote: “To me, Zionism is simply an affirmative action plan on a national scale. Just as legal remedies are justified in reparation for racism and sexism, the Law of Return to Israel is justified, if not by Jewish religious and ethnic claims, then by the intransigence of worldwide anti-Semitism.” Others included Congresswomen Bella Abzug and Elizabeth Holtzman; Nora Ephron, the writer and film director; Gloria Steinem, the author and social activist; and actress Lauren Bacall. These women fought hard against feminism’s vilification of Zionism and were instrumental in helping the first major movement to have branded Zionism racist become the first faction to retract that statement, at the third World Conference on Women, held in Nairobi in 1985. The UN followed suit in 1991, when it repealed Resolution 3379. That Zionism and feminism cannot co-exist, either then or now, is a gross misconception. In many ways, Zionism is the perfect bedfellow for feminism; it paved the way for the new Jew, casting off antiquated ideals of religious and patriarchal Judaism. But as Aviad’s film The Women Pioneers shows, it has not been an easy journey. That pre-State Israel managed to offer women any respite at all from their former lives as second-class citizens was an impressive achievement. The movement’s backbone was progressive, but there was nothing specifically pro-women or anti-sexist in the Zionist manifesto. Quite the opposite, in fact. Zionism was steeped in masculinity from the beginning. Theodore Herzl’s concept of Zionism was overtly gendered. He thought that Diaspora life had weakened Jewish men, made them effeminate and marked them as easy targets for anti-Semitism. He wrote in his diary in June 1895: “They are ghetto creatures, quiet, decent, timorous. Most of our people are like that. Will they understand the call to freedom and manliness?” He wanted these men to reclaim the masculinity of their nation’s history—what the Zionist leader Max Nordau called “muscular Judaism”—and included women in his vision only for their reproductive abilities. Women had no place at the heart of Zionism. For Herzl, freedom equated manliness. Zionism’s icons were Samson and Judah Maccabee. Its posters shouted, “Help him build Zionism,” with a picture of a male pioneer working the land and gazing into the distance. “Lehitgaber,” the Hebrew word that means to overcome—as in, to overcome the Diaspora and create the new Jew—has at its root the word “gever,” meaning man. In spite of this, and despite the struggles and disappointments the female pioneers faced, Israel has been a trailblazer on many women’s issues. Its record is by no means perfect, but the country has reason to brag. Israel was the third country in the world—and the first in the Western world—to elect a female head of government; Golda Meir was known as the Iron Lady a full decade before Margaret Thatcher took the helm of British politics. Shulamit Aloni, one of Israel’s key feminist leaders, died just recently at the age of 85. She launched her own political party, was the first female cabinet minister after Meir, held a formidable five ministerial posts (tied for top place with Tzipi Livni), and was a champion of Palestinian as well as Israeli rights. Last year, Attorney General Yehuda Weinstein published a revolutionary report on gender discrimination in Israel, pushing for equal treatment of women in public places, including health clinics and buses. The Women of the Wall, who have been reclaiming the Western Wall from Haredi control for years, celebrated a string of legal triumphs last year and have gained newfound respect in Israeli public opinion. In the 2013 general election, three major parties had female leaders, and the prominent progressive party Yesh Atid made women’s issues a central part of its platform, all helping to take the Knesset to a record high 26 female politicians out of 120—more than three times the average female representation of governments in the Arab world. Additionally, Israeli women rank seventh in the Western world in terms of higher education, and they account for about a third of the country’s senior management roles. Israel has the only army in the world that conscripts women as well as men, and it gives them the right to hold any position in the IDF. But as Pogrebin pointed out recently, in an article about her struggle to reconcile her Zionism with her feminism, equal rights don’t necessitate equality: “Israeli women make seventy agorot for each shekel earned by men with the same qualifications. Married women are interrogated by an ‘abortion panel’ before they can exercise their right to control their fertility… Women are consigned to second-class roles in the IDF, hampering their future success in a society that blatantly privileges those with top military experience.” Twenty-six women out of a 120-strong parliament is not a particularly high number, nor is the four female cabinet members in a team of 22; Israel ranks just 70th out of 138 countries with women MPs when it comes to female governmental representation. These concerns are not unique to Israel. Just last month President Obama lamented in his State of the Union address that women only make 77 cents to every dollar pocketed by an equally qualified man. “That is wrong, and in 2014, it’s an embarrassment,” he said. But in addition to the global glass ceiling that holds women back from equality in so many ways around the world, Israel must reckon with two additional, particularly powerful forces: religion and war—both of which favor the man. Pogrebin concludes: “The fact is: the Zionist dream has not delivered for women.” It may be true. But the bigger truth is the feminist dream has not been realized anywhere else, either. The most important question in assessing the feminist legacy of Zionism is not whether women’s equality with men has been achieved (who could claim that it has?) but whether the women of Israel have disrupted limitations, pushed boundaries and created a better life for themselves—and whether Zionism was instrumental in that. The answer to that, it seems, is an unequivocal yes. An image from the film The Women Pioneers.